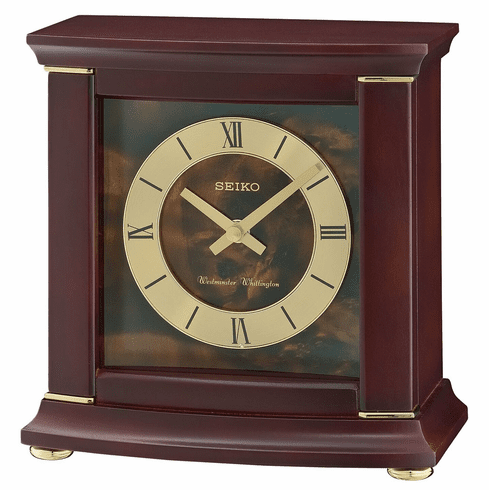 This table clock features a dark brown case and plays Westminster or Whittington chimes. Also features night-time silence option and volume control. Requires 1 "C" battery included. Dimensions: H: 7.5", W: 7.25", D: 4"